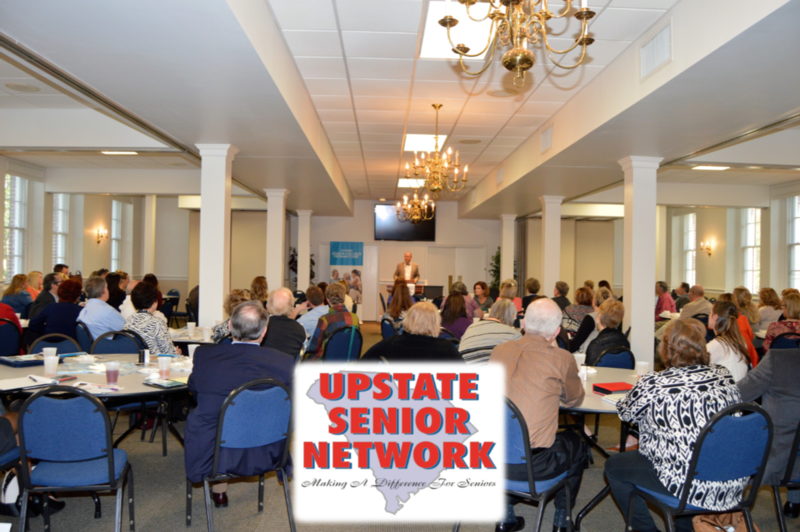 The Upstate Senior Network provides excellent networking, educational, marketing, and professional development opportunities. Membership is open to anyone providing services of products for the senior population. We invite you to attend one of of our monthly meetings as our guest. Please visit our Chapters page for more details. A group of individuals from several organizations serving seniors began meeting informally in 2001. These informal meetings then evolved into formal meetings in September 2002. From this informal start, the Upstate Senior Network has now grown to include over 200 members from over 100 different businesses and organizations. We continue to grow at a rapid pace as we make a difference in the lives of seniors. Members usually hold positions in sales, general management, public relations or provide services directly to seniors. For further information, please contact the Upstate Senior Network at UpstateSeniorNetwork@gmail.com.